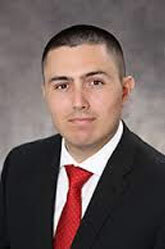 Gregory P. Sidoti, CPA, CFE is a Senior Associate at Yip Associates with more than six (6) years of experience across financial auditing and investigations, internal control analysis and governmental auditing. He has worked on various internal investigations for private companies and assists in the review and analysis of corporate books and records, including internal control documentation, bank account records, contracts, vendor files, investor files, financial statements and tax returns. Mr. Sidoti graduated from Lehigh University where he earned a Bachelor of Science in Accounting. Prior to joining Yip Associates, Mr. Sidoti gained valuable experience working in New York, New York and Austin, Texas as a Certified Public Accountant for firms specializing in financial services and governmental auditing.